Holy smokes! 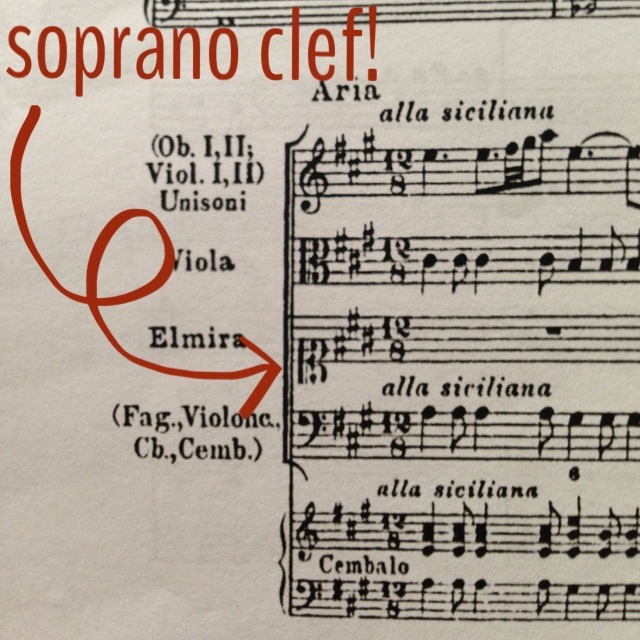 Soprano clef strikes again. These are the tasty musical treats I alluded to in my last posting. This is all such good stuff! 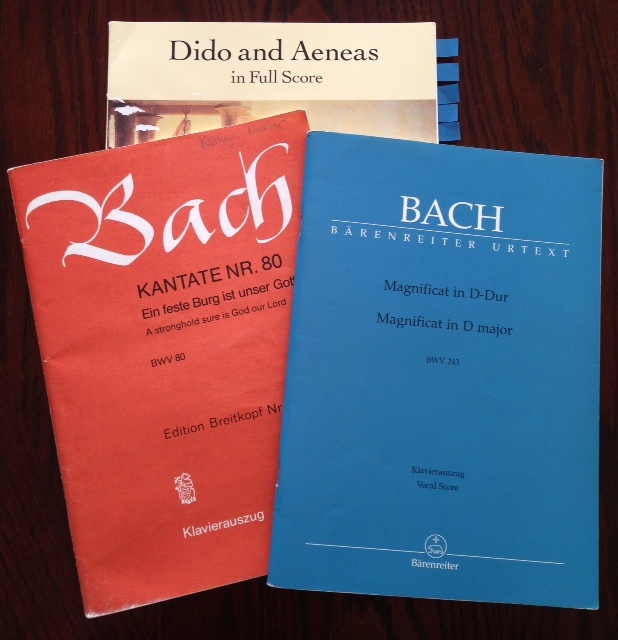 Every time I sidle up to my piano I have trouble deciding what to dig into first. I’m particularly excited about the aria from Keiser’s opera Croesus. 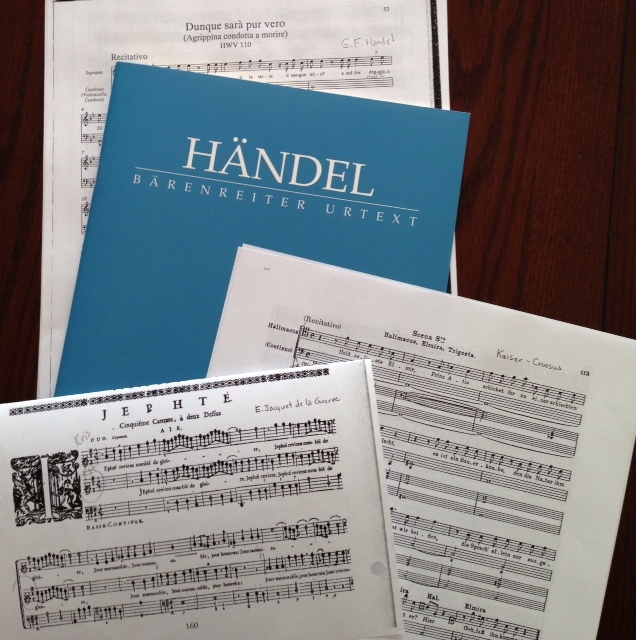 I decided I needed a German baroque opera aria to round out my rep list for period group auditions. Um, there’s German baroque opera? you ask? It’s certainly not in the canon of mainstream opera companies, but it did exist (check out the praise the Boston Globe and NYT heaped on Handel’s Almira this year at BEMF), and luckily my trusty network of Facebook friends who are baroque opera nerds helped out with several suggestions. But, I haven’t gotten far in learning it because the vocal line in this score is written in soprano clef. Drat! 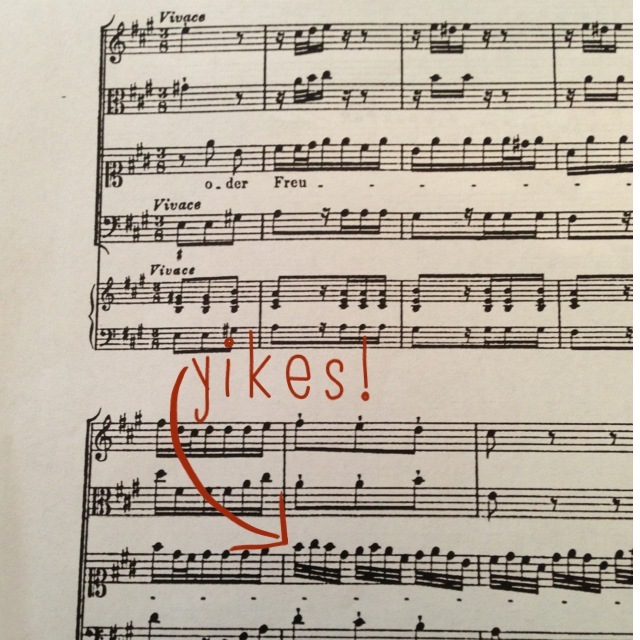 Copyists and printers of the past must have really hated legder lines, because they used a number of now-obsolete clefs to keep most of the notes on the staff. In facsimiles of original scores or even in 19-century editions like this one, soprano vocal lines are frequently written on soprano clef, with Middle C being on the bottom line instead of on the first ledger line below the staff. Everything’s just one line higher than it would be in your everyday treble clef, but it’s amazing how reading everything a third off from normal can make your head want to explode. I’m sure singing from soprano clef is one of those brain-exercising activities that can help you stave (oh heavens, no pun intended) off Alzheimer’s. Yikes is right. I can’t decide which would ultimately be more work, learning the whole aria in soprano clef, or teaching myself Finale and creating an edition I can read. It’s seriously a toss-up. I’ll let you know how it works out.